My original build of the Micro Moth used a EMAX CF2805 0.9 oz 2800kV outrunner motor I had lying around. This motor is designed for small pusher jets so it wasn’t really appropriate for a slow-ish biplane. This week, I swapped it out for a new HURC 2712-17 from HeadsUp that should work much better. 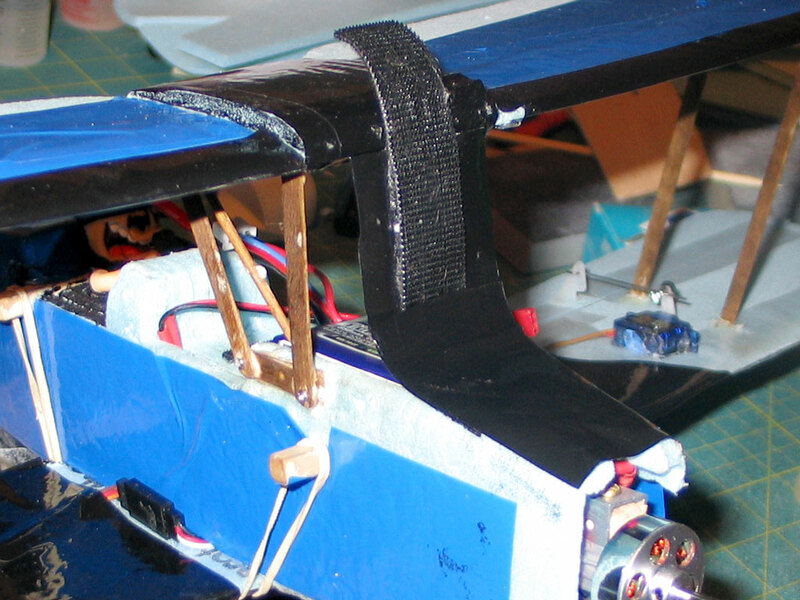 I also tore out the landing gear mount and reinforced it with some basswood to better support the LG wire and hold it perpendicular to the fuselage. I’ve been testing some larger, 850 mAh Nano-Tech batteries from HobbyKing. These provide a ton more power than the Rhino 610’s I’ve been using. In fact, so much more that the prop saver failed during a static test. So I’ve also replaced the prop saver with a collet-type prop adapter to keep the prop bolted on there. Unfortunately, the 850’s are enough thicker than the 610’s that they simply would not fit in the battery compartment I designed. This required some surgery. 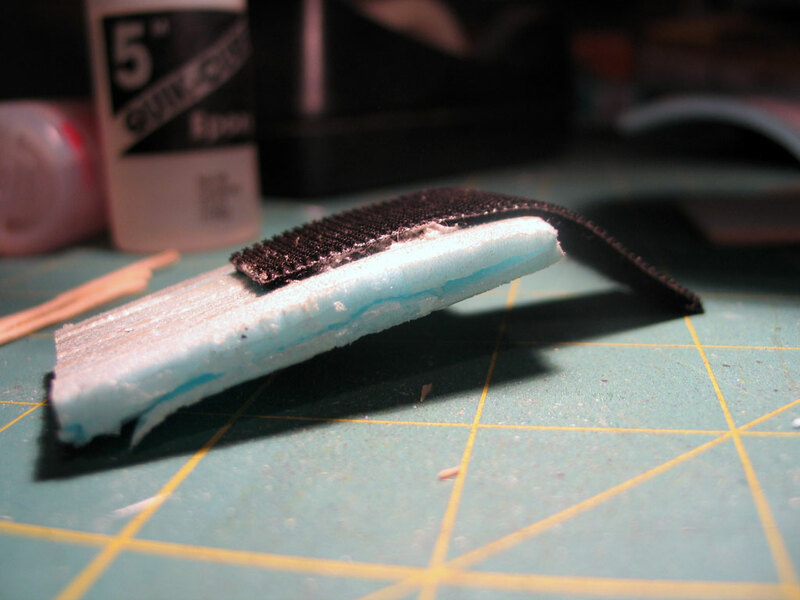 I cut off the original, foam cover for the battery compartment and replaced it with a piece of thin, strong plastic from a plastic soda bottle. Here's the old battery hatch, cut off. 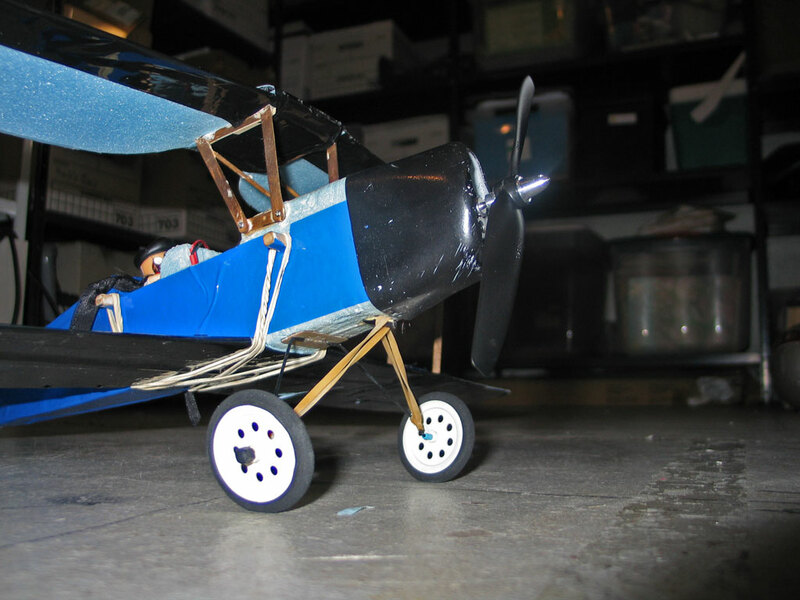 This entry was posted in Biplanes & Triplanes, Building, Custom & Modified, My Planes, R/C Planes. Bookmark the permalink.